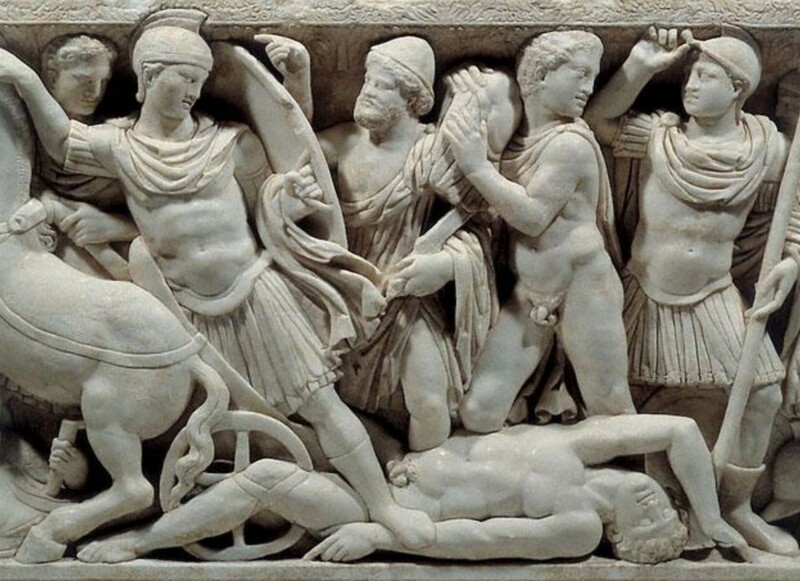 Sarcophagus with Scenes from the Life of Achilles (detail). Unknown artist Roman, Athens, A.D. 180–220. Marble. J. Paul Getty Museum. John Serrati (University of Ottawa) will address the topic “Hoplites and Heroes: Homer on the Battlefields of Classical Greece”. Here, the works of Homer play a crucial role; marching to war, the hoplites undoubtedly saw Achilles, Hektor, and Agamemnon in themselves. Just as these heroes of the past had competed with each other for battle honours, so too did the men of the phalanx seek to outdo each other as well as to best their opponents. The works of Homer thus played a key role in the reinforcement of Greek ag​n​o​stic culture, and served as the prime motivation for Greeks to throw themselves into the thick of combat. The event is organized by the CIG in Canada.